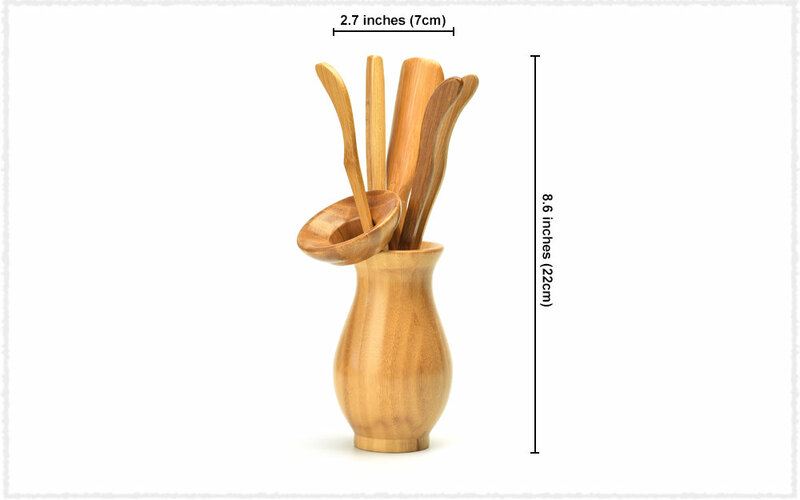 Made of Nan Zhu, this Vase Cha Dao Set Tea Utensil 6 Pieces, with simple and clear shape, is very economical and durable. Cha Dao Set Tea Utensil is not only the most essential tools for Kungfu tea ceremony, but also plays a role in embellishment. It is not only a practical tea brewing tool, but also an embodiment of tea art. 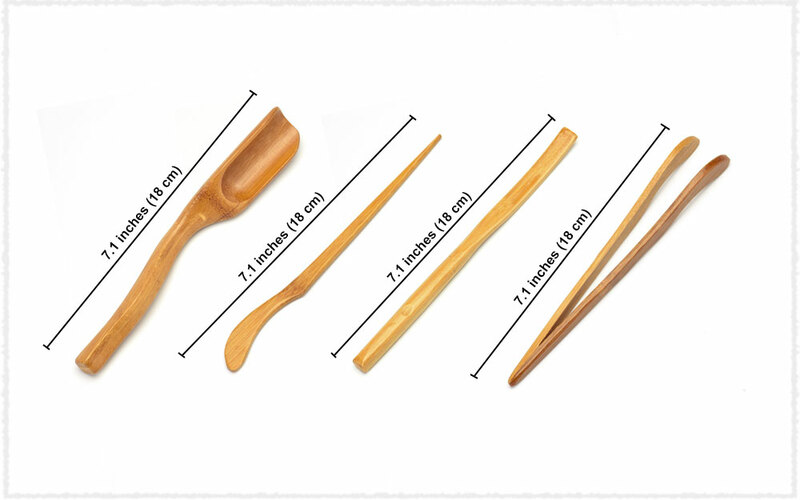 Selected the natural Phyllostachys edulis as raw material, Teavivre’s Bamboo Vase Cha Dao Set Tea Utensil 6 Pieces is made by traditional crafts, which preserved the unique texture of bamboo to a large extent. Its simple shape and burlywood appearance give people a sense of nature. In addition, after using this Cha Dao Set, we need to dry it up in order to avoid the breeding of bacteria. Tea Vase, 茶筒 (Cha Tong): to hold your utensils such as your tea tweezer, tea pin, tea funnel, tea spoon and tea scoop. Tea Scoop, 茶则 (Cha Ze): used for take dry teas out from tea bag or tin into your gaiwan or teapot. Tea Spoon, 茶匙 (Cha Shi): used to transfer tea leaves from the tea holder to your tea pot or your gaiwan. Tea Funnel, 茶漏 (Cha Lou): is a cylindrical funnel used to direct the flow of tea into Yixing teapot, and also used to prevent the tea from overflowing. Tea Tweezer, 茶夹 (Cha Jia): a tool for picking the tea cup to protect your fingers from heat, or taking tea leaves out from Yixing teapot. Tea Pin, 茶针 (Cha Zhen): for clearing the small tea leaves which blocking the filter holes in Yixing teapots, so that the water can go to the spout smoothly. Phyllostachys edulis, also named Nanzhu(楠竹), which has good using value and economic value. It is mainly grows in Yingbing City, Sichuan, Hunan, and Fujian province, and is widely distributed on the 400-600 meters hills, foothill regions of small mountains. Nanzhu is tough and flexible, which is commonly used in construction, furniture production and other daily necessities. Tea trays, made by Nanzhu, are very durable and environmentally friendly.